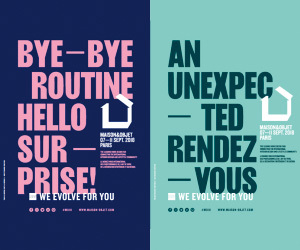 When a building resonates with the architectural language of a region, including all its ethnic, regional and local dialects, it re-establishes the lost identity and cultural vibrancy of a place. Such building design is best defined as vernacular architecture. 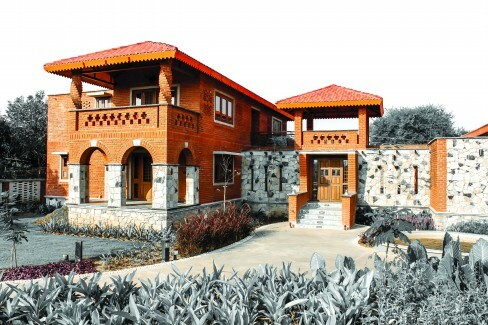 Architect Himanshu Patel’s farmhouse is a stunning example of the said genre. The open plan living space accommodates a seating area, dining and kitchen; all this visually increases the sense of space in the absence of doors. More old wood and stone appear throughout the interior. 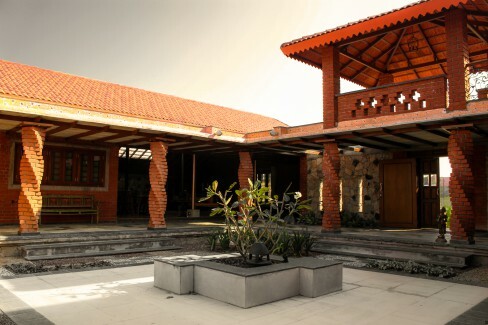 Architecture is a unique component of a country’s culture and in a country as diverse as India, the local architectural map is constantly changing and evolving. A feature wall of locally hand-made matkas highlights the entrance. 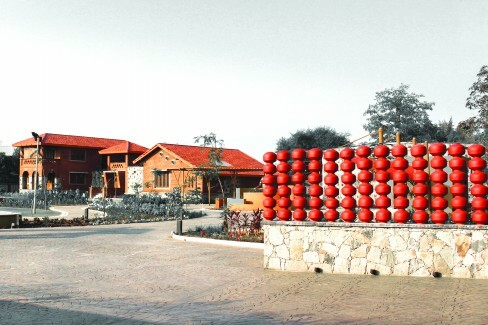 “Their natural red colour is also considered auspicious for use in the entry but more than this I am happy that this wall created jobs for local villagers”. Nestled in the rural landscape of Amalsad village in South Gujarat, the 450 sq m farmhouse sits in a beautifully landscaped 1.25 acre plot. The Sheesham furniture is light weight and follows a burnt-orange palette that offsets the building’s semblance. 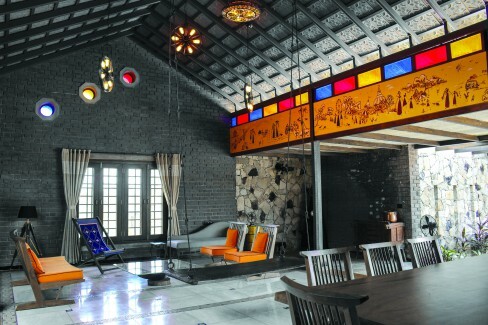 ‘Warli’ wall art hung beneath coloured stained glass unfolds the story of a traditional lifestyle in the living space. 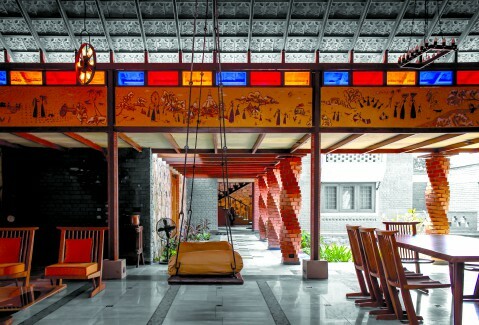 The Vashi farmhouse limits everything to the essential but does not remove its poetry from it. The architect has used brick and mortar in a way that reveals the materials’ innate qualities along with the craftsmanship of their assembly. “Working with bricks is not only interesting but is also very satisfying to me. Even a plain simple brick wall can be so full of pattern and colour” says Himanshu. The building wears its rustic cloak with élan. Arranged in an H-shaped plan, it was conceptualised around two distinct green spaces – an indoor courtyard and an outdoor garden. A series of variously proportioned sloping roofs help offset heavy rainfall native to the region. A deeply covered balcony facilitates the transition from the hot and humid exterior environment. These architectural interventions help keep the space insulated and also cope with climatic hazards. 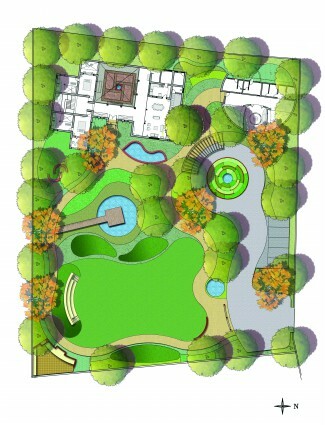 Communal living spaces arranged around the central courtyard evoke a sense of family ancestry specific to the house. A series of variously proportioned sloping roofs help offset heavy rainfall native to the region. The open plan living area accommodates seating, dining and kitchen and visually increases the sense of space given the absence of doors. Old marble tiles with ceramic inlay are re-used to create a vibrant reclaimed floor. More old wood and local stone appear throughout the interior. The Sheesham furniture is light weight and follows a burnt-orange palette that offsets the building’s semblance. Warli wall art hung beneath coloured stained glass reiterates the story of a traditional lifestyle in the living space. While the foundation is of random rubble stone masonry, the 14” thick load bearing exposed brick walls act as thermal insulators. 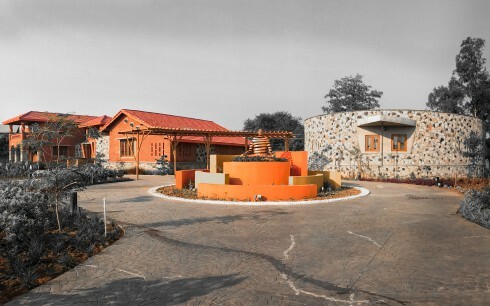 A fascinating drop-off area, semi covered by a wooden pergola and housing a lily pond leads you towards the corbelled brick wall entrance where Nandi idols reference the religious leanings of the owners. The entrance veranda rests on a subtle yet remarkable floor finished in a combination of polished and rough golden Kota. All the bedrooms have attached private balconies and bathrooms equipped with skylights that are pro saving of electricity. Exposed cement finish walls and the crazy Kota flooring made of waste materials compliment the granite panel holding brushed golden faucets. The interestingly half-done staircase with solid Kadappa stone steps and wooden risers adds to the list of locally sourced materials. A feature wall made up of local hand-made matkas highlights the entrance. “Their natural red colour is also considered auspicious for use in the entry but more than this I am happy that this wall created jobs for the local villagers,” shares Himanshu. While the foundation is of random rubble stone masonry, the 14” thick load bearing exposed brick walls act as thermal insulators. 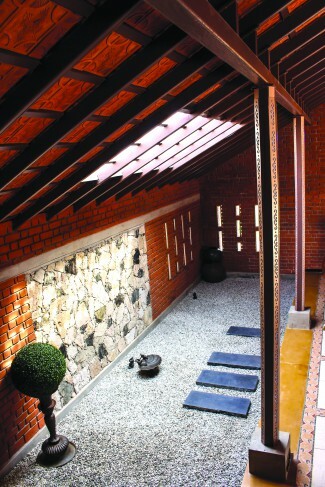 The ground floor roof is fabricated out of locally made clay pot filler RCC slabs and rests on twisted brick columns. Such slabs used instead of concrete not only aid in diminishing costs but also help transfer lesser loads to the walls. They are good heat insulators and give the ceiling an element of design. 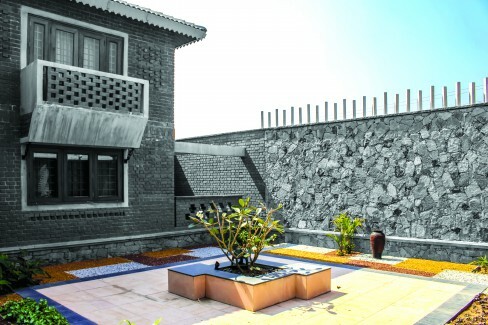 “Part of the building is circular in shape and responds purely towards reusing old curved windows” explains Himanshu. This farmhouse proves once again that by relying on vernacular architecture one can easily achieve sustainability apart from revitalizing the charisma of a forgotten era. you will be able to get unlimited gems for free.